Summary: Since a merger might not be the best strategy for every community bank, we provide a brief overview of the current situation and offer a few ways you can grow without it. Let's face it - things cost money. Look no further than upper education. 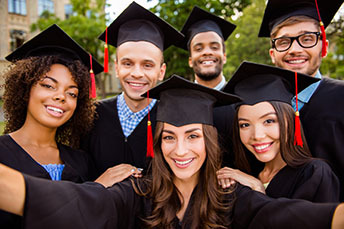 On the good news front, the Census Bureau reports 33% of Americans 25Ys or older have completed a bachelor's degree or higher vs. about 17% back in 1980. Since the data shows college educated people earn more than others that is good for the country. As for the bad news, consider that over the same time period, education costs have soared over 1,000%. It sure makes one think about the return on investment (ROI). When it comes to financial institutions, management teams, boards and investment bankers are always trying to figure out an acceptable ROI for any possible M&A transaction. That makes sense when you consider that bank consolidation continues to grind away. Since a merger might not be the best strategy for every community bank, today we provide a brief overview of the situation and offer a few ways you can grow without it. When it comes to M&A, larger community banks in particular are hot. In 2017, larger banks snapped up 34 banks with assets between $1B and $10B, according a Deloitte study and numbers from Keefe, Bruyette & Woods. That's a 26% increase over 2016 and more than double the number of banks from that group that changed hands in 2011. Many banks have substantial cash on hand, and everyone wants to grow, so activity continues. Another factor is the expectation that the recent Dodd-Frank legislative rollback will likely add more fuel to a market that's already burning. When it comes to sellers, banks have been driven by compliance costs, which grew by a total of just under $1B in the past 2Ys to around $5.4B. That is a whopping 24% of community bank income, according to a study by the Fed. A sizeable 97% of survey respondents who had considered buying or selling a bank in the past year said regulatory compliance costs were from moderately important to very important factors in their thinking. While a merger or acquisition might help your bank reach greater scale, deal with growing compliance costs and stay competitive in a fierce market, it isn't for everyone. Acquired banks can undergo radical changes in lending practices, customer service and other factors. These can lead to customer displacement and other issues. To evaluate just a few ways to stay true to customers without doing M&A, community banks need to closely evaluate and revisit their short and long-term goals. Some may be able to diversify or augment the loan portfolio to keep growing; others may edge into growing nearby counties and still others may develop innovative products and services to attract a higher density of customers. Of course, community bankers know their value to the community better than anyone. We certainly hope that some of the regulatory rollbacks will help everyone better compete. But, knowing community banks will still have to shoulder a larger percentage of expenses dealing with regulations and other factors than the bigger banks, M&A probably still looms for many. Good luck out there, no matter the education level of anyone you may interact with, as you seek out new opportunities. The OCC said it will grant special purpose charters to financial technology companies, but that such companies would be required to adhere to the same high standards that apply to all national banks. The FASB agreed to change the effective date of the Current Expected Credit Loss (CECL) accounting standard for private banks known as "non-public business entities" to fiscal years beginning after Dec. 15, 2021. These banks would adopt CECL and adjust their opening retained earnings balance as of Jan. 1, 2022. 1) First-Citizens Bank & Trust Co ($34B, NC) will acquire Palmetto Heritage Bank & Trust ($166mm, SC) for $135 per share in cash (100%). 2) Banner Bank ($10.5B, WA) will acquire Skagit Bank ($922mm, WA) for $191.1mm in stock (100%) or about 2.37x tangible book. 3) The Richwood Banking Co ($513mm, OH) will acquire Home City Federal Savings Bank of Springfield ($168mm, OH) for $31.7mm in cash (100%) or 1.55x tangible book. 4) bankESB ($2.1B, MA) will acquire Pilgrim Bank ($263mm, MA) for $53.9mm or 1.51x tangible book. 5) IBM Southeast Employees' Credit Union ($1.1B, FL) will acquire The Oculina Bank ($342mm, FL) for an undisclosed sum. 6) Drummond Community Bank ($520mm, FL) will acquire Peoples State Bank ($85mm, FL) for an undisclosed sum.